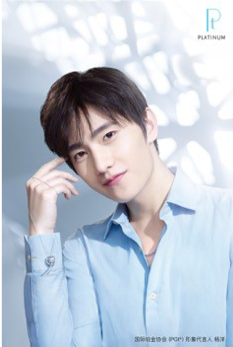 Shanghai (August 2018) - PGI together with the brand ambassador Yang Yang, launches the advertising film The Legend of Platinum Dandelion, delivering the beautifulness of true love with pure and graceful images. 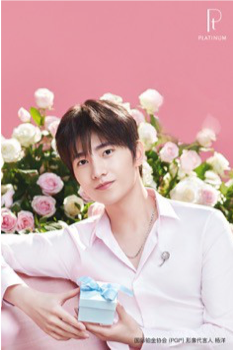 In the film, Yang Yang acted as an innocent, brave, perseverant and enthusiastic gardener who lived on the dandelion planet waiting for his true love, presenting the platinum dandelion fairy tale in the most aesthetic way, interpreting the eternal charm of pure platinum. The platinum dandelion that is carrying dreams and wishes represents the only true love. It is used by Yang Yang to deliver the deepest confession of love, let her know he dive in love for the irreplaceable girl. The eternity of platinum witnesses the dream chasing journey and its natural white shines as pure as platinum. The platinum dandelions carry the eternal and unflinching love and dream freezing the perfect moment till forever. The resilience of platinum allows a variety of delicate design, which makes it flying with the wind. The never-fading pure colour of platinum will as pure as ever even it through the baptism of time. The resilience and ductile of platinum restore the liveliness of dandelions. Each work couple delicacy with tenacity, neatness with ethereality, engraving a lifelong commitment around the one you love.